Sequin dresses and glitter shoes aren’t for everyone, so this blog post is for those that prefer a pared back look with a side of sparkle in December. It’s so easy to adapt your outfit by adding a pair of statement earrings, a sparkly scarf or a fun clutch. One of my favourite going out looks is black trousers, a blazer, camisole and heels. It’s a fairly simple and timeless formula, but I always feel just right. Not underdressed or overdressed. My blazer is a few years old from Zara and one of my favourites. I’ve had a look to see if they still sell it, but unfortunately I couldn’t find it online. It would be worth having a look in store though, as I thought that it was one of their all year round staples. The camisole I bought from H&M (see here) for £19.99 and have worn it so much. Proof that you don’t need to spend a fortune! My sequin scarf is ancient from Topshop but I have found two beautiful similar options from Anthropologie. I have also used my scarf as a belt over a jumpsuit in the past, so it would be a very useful little addition to your wardrobe. Jumper (old J Crew Tippi) / Skirt Old from Topshop / Necklace Missoma / Earrings TLMEdit. 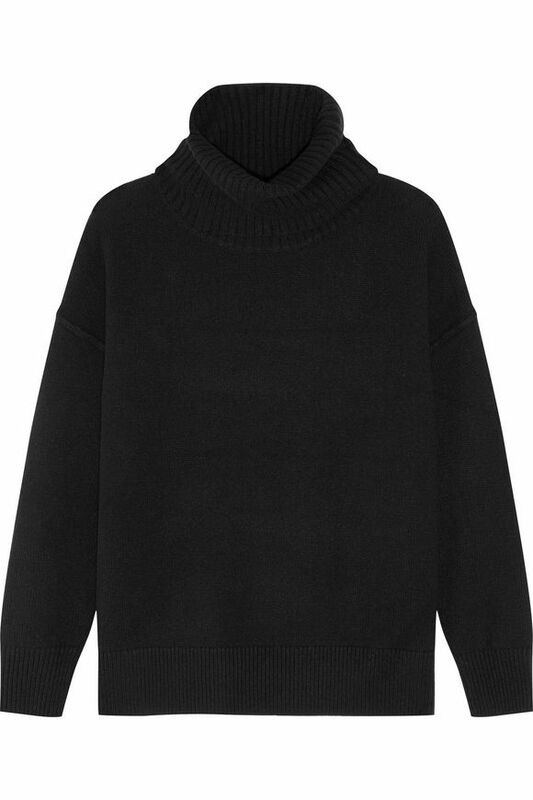 Completely unrelated to this blog post, but someone got in touch this week to ask me if I had seen a black cashmere roll neck on my shopping travels. She said that she really loved the Scout Cashmere one that I wear but it was out of her price range. I wear my black cashmere roll neck all the time, it is one of my most useful wardrobe staples in winter. So I was very pleased to find this one for her and felt I should share it with all of you too. Thanks for the tip about the black cashmere jumper! I got the last one in my size and I LOVE IT!!!!! !